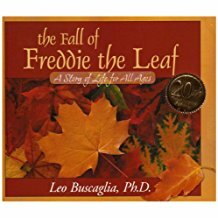 This story by Leo Buscaglia is a warm, wonderfully wise and strikingly simple story about a leaf named Freddie. How Freddie and his companion leaves change with the passing seasons, finally falling to the ground with winter’s snow, is an inspiring allegory illustrating the delicate balance between life and death. 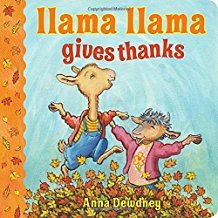 From beloved storyteller Anna Dewdney comes the perfect way to give thanks: a Llama Llama Thanksgiving board book! 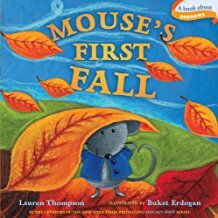 Lauren Thompson and Bucket Erdogan show what makes fall so much fun in Classic Board Book edition of Mouse’s First Fall! One cool day Mouse and Minka venture out to play. 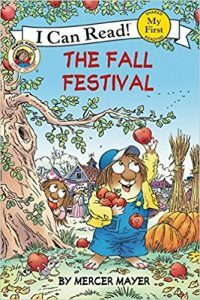 From leaves of all colors—red, yellow, orange to brown—to leaves of all shapes and sizes—Mouse learns what makes fall such a special season! 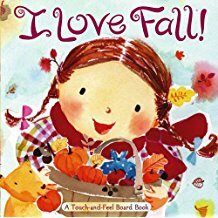 Before their fun, fall day is over, Mouse takes a big “leap!” Now featuring the newly redesigned Classic Board Book logo, this sturdy book is perfect for little ones learning about the seasons! 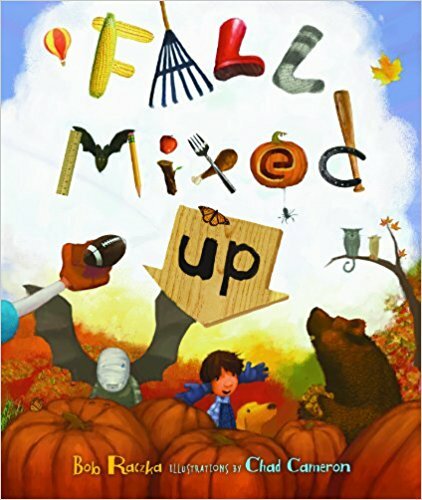 From plump orange pumpkins to crunchy leaves, readers will love all the textures fall has to offer in this delightful touch-and-feel board book. From woolly scarves and plump orange pumpkins to crunchy leaves and smooth wicker baskets, readers will delight in all the different textures fall has to offer. With simple, rhyming verses and sweet, vibrant illustrations, youngsters can celebrate the season with this touch-and-feel board book that’s perfect for small hands. The leaves have started to fall. The air is cold. Squirrel needs to get ready for winter. He cannot nibble with the mice. He does not have time to hop with the frogs or run with the dogs. 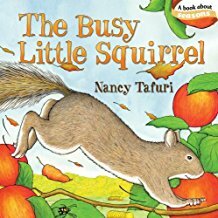 Will this busy little squirrel ever slow down? 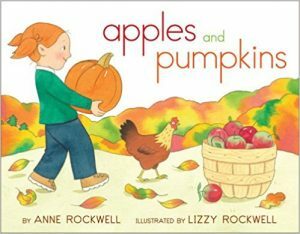 Focusing on all the charming features of the fall season, this sweetly illustrated story features country animals, pumpkins, leaves, apples and other signs of autumn. Now available as a sturdy board book, the newly redesigned Classic Board Book logo calls out this title’s seasonal theme on the front cover. 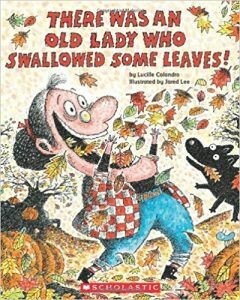 6 ~ There Was An Old Lady Who Swallowed Some Leaves! Our favorite old lady is back and swallowing autumn items! That wild old lady is back swallowing fall-themed items. 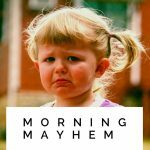 What can you make from leaves, clothes, a pumpkin, and rope? That’s right, a scarecrow! 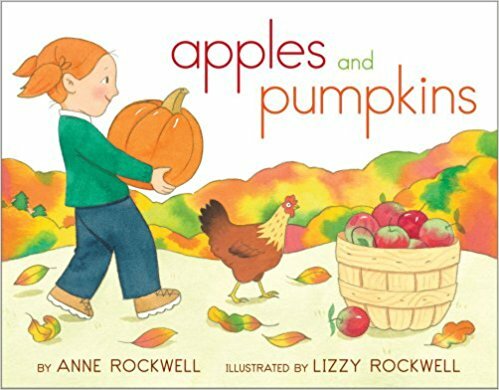 A young girl spends a glorious fall day picking apples and searching for the perfect pumpkin in this refreshed classic. “When red and yellow leaves are on the trees,” a little girl goes with her parents to a farm where they pick apples and choose “the best pumpkin of them all.” Back home, she helps to carve a grinning jack-o’-lantern face on the big orange pumpkin, which guards their doorstep on halloween night while her mother hands out shiny red apples and she and her father go trick-or-treating with the neighborhood ghosts and goblins. 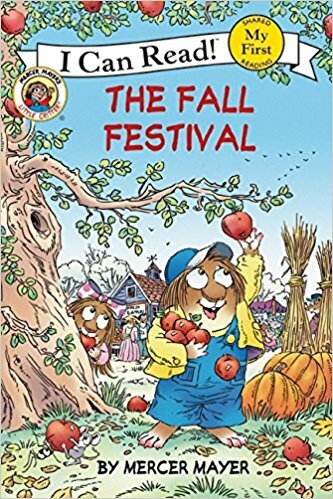 “Every Septober, Every Octember, Fall fills my senses with scenes to remember.” “Bears gather nuts. Geese hibernate. Squirrels fly south in big figure eights.” Fall is all mixed up in this silly book from Bob Raczka! Can you find his mistakes in the words and pictures? 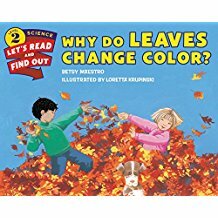 9 ~ Why Do Leaves Change Color? It’s fall! The leaves are changing color. 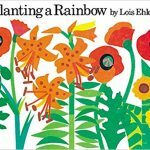 This Let’s-Read-and-Find-Out picture book explains the magical process of how leaves change their color in autumn. 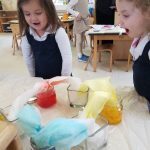 This is a Level 2 Let’s-Read-and-Find-Out, which means the book explores more challenging concepts perfect for children in the primary grades and supports the Common Core Learning Standards and Next Generation Science Standards. Let’s-Read-and-Find-Out is the winner of the American Association for the Advancement of Science/Subaru Science Books & Films Prize for Outstanding Science Series. Join Little Critter® and his family on their exciting road trip to the Fall Festival! From apple picking to hayrides, discover how fun the harvest season can be.